Premise- A team of six people will have to answer a series of logic-based questions. After a question has been asked, the team will have 60 seconds to think about and discuss the question before agreeing on a final answer. After their thinking time has run out, the designated team captain must give an answer. The team may use one of the three “lifelines” to help them with any question along the way. One lifeline gives the team an extra 30 seconds of thinking time. 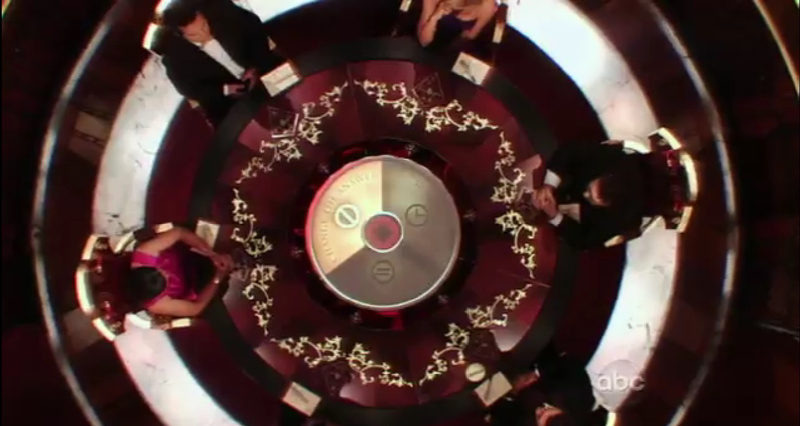 The second lifeline allows the team to swap out a question for a new one while playing on the same money level. The third lifeline allows any other member on the team to change the answer. If the team gets a question right, they win the money attached to the question. After each correct answer, each team member must vote on whether to continue or leave with the money. The votes must be unanimous; otherwise the team will be forced to continue the game. If a team answers a question incorrectly, a voting round will not be played and the team must answer the next question on the same level. Answering ten questions correctly wins the team $1,000,000. Answering four questions incorrectly loses the game for the team and the team wins nothing. Before I begin my review, allow me to shed some light on the origins of Million Dollar Mind Game. Million Dollar Mind Game is based on the Russian game show series What? Where? When?, which has lasted for 34 seasons since 1975 and is currently running to date. In the Russian version, a team of TV viewers competed against a team of experts. The first team to earn six points won the game. Click here for more information about the Russian game show What? Where? When? The original name for the U.S. version of the series was Six Minds until it was eventually changed to Million Dollar Mind Game (A better fit in my opinion). And now, for the review……. The producers did a great job keeping the essence of the original Russian format with Million Dollar Mind Game. 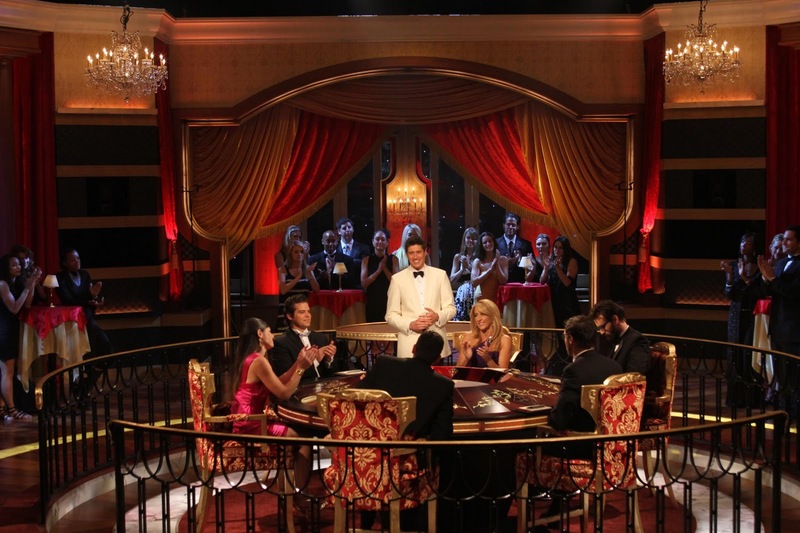 To my knowledge, this is the first game show I have ever seen where the contestants, and even some members in the studio audience, in formal attire. Even though the main reason for the dress code is to keep in sync with the Russian format, it’s still a nice change from the lax dress code the viewers are used to seeing with game show contestants nowadays. I don’t know why ABC held off putting this show on the air for as long as they did, but this game show would have been at least a great summer game show to rival NBC’s It’s Worth What. Million Dollar Mind Game is a great game of logic, reasoning, knowledge, and teamwork. This show is definitely fun to play-along and I like how the questions are formatted to require contestants to think outside the box, including the “Black Box” question (no pun intended). On a quick side note, the questions remind me of the clever and often tricky riddles asked on another classic game show called Jackpot! The show’s “mysterious-themed” main theme music fits perfectly with the show’s theme. With Vernon Kay as the host, he is a good host for this show. He interacts well with the contestants and keeps the show flowing at a consistent pace. The only problems I have with the show are the voting rounds and the show’s “interesting” time slot choice. With the voting rounds, the voting could be simply reduced to a simple discussion amongst the team, rather than wasting time going around the table to find out what each person voted. With the time slot choice, I find it interesting that ABC decided to air this game show during the NBA lockout. Who knows how much longer ABC would have put off airing this show if the NBA was in effect. It’s good that Million Dollar Mind Game seized the opportunity in filling the time that is usually reserved for NBA games, but a little bit of a bad move on the network’s part. While Million Dollar Mind Game may come on at 4:00 p.m. on Sunday afternoons now, it’s on at the same time NFL football games are. I fear that the show will get overlooked often and the viewers might easily forget to watch the show, especially with the weird time slot. Overall, even though Million Dollar Mind Game slighty rips off Classic Millionaire’s money tree and use of lifelines, this is still a great, thought-provoking, and challenging game show to watch. Million Dollar Mind Game is also a good show to watch to wind down your weekend, with the time slot the way it is. Watch Million Dollar Mind Game Sundays at 4:00p.m. EST on ABC! Previous Post International Showdown: Whose Version of "Minute To Win It" Is Better: The U.S. Version or The U.K. Version? I remember the time when there was no formal dress code in the Russian game. It was introduced in 1991, when capitalism went back to Russia, and the authors decided to bring the atmosphere of “intellectual casino” to the game. In my opinion, this dresscode was the most unnecessary thing to keep synched with the Russian format.